We haven’t visited this area as a club for a couple of years. 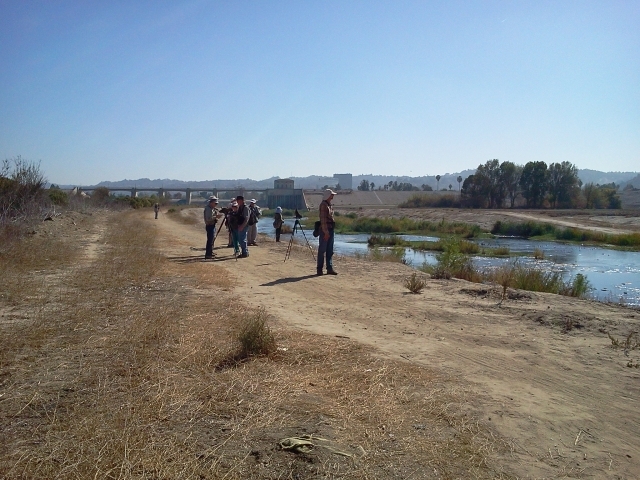 A deficit in chapter members was, to my great surprise, offset by a large number of San Fernando Valley and Pasadena birders. While waiting for potential late arrivals, we checked the lawn & trees near the parking lot and turned up a variety of Sparrows – Chipping, Lark, Savannah, Song, White-crowned and Dark-eyed Junco. Western Meadowlarks – the 1st of two small flocks – meandered through grass, as Ruby-crowned Kinglets, Lesser & American Goldfinches, House Finches and some of the ever-present wintering Yellow-rumped Warblers worked the leafy trees. A small flock of Yellow-chevroned Parakeets alerted us with their calls as they vanished beyond the trees. 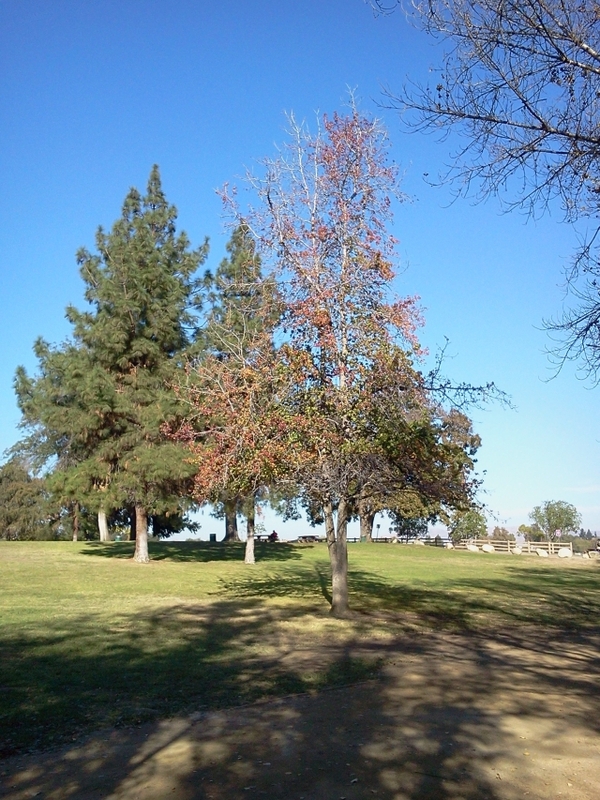 By the time we set off for the pond, it was already warm enough to shed jackets, due to late fall Santa Ana conditions. The pond held the usual suspects: five species of herons, three of grebe, three of duck, coots, White Pelican and Double-crested Cormorant and Osprey, while the surrounding bushes had more Song Sparrows, California Towhees, Common Yellowthroats, Bushtits and the first of 2 Blue-grey Gnatcatchers. 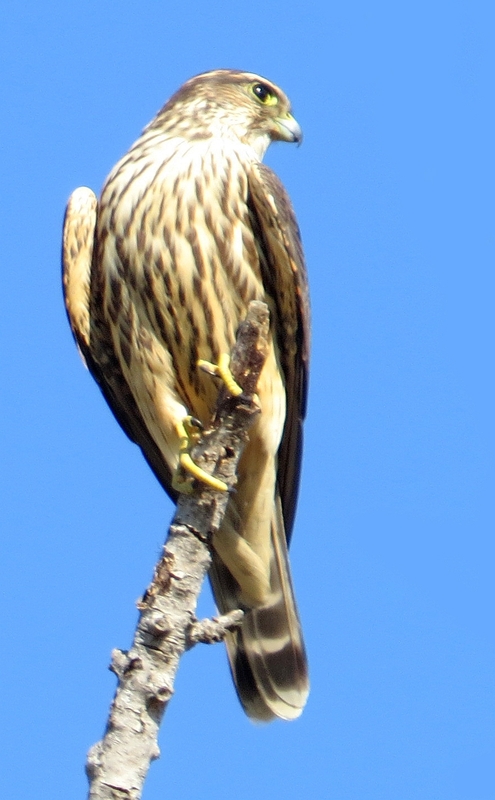 The best bird though – and really the best bird of the day – was a Merlin which flew in and perched nearby in the leafless top of a small tree, staying for several minutes, affording everyone fine views and sufficient time to determine that it indeed was a Merlin and why it wasn’t something else. We frequently heard, yet could not see, Soras calling from the dense lake-edge reeds. 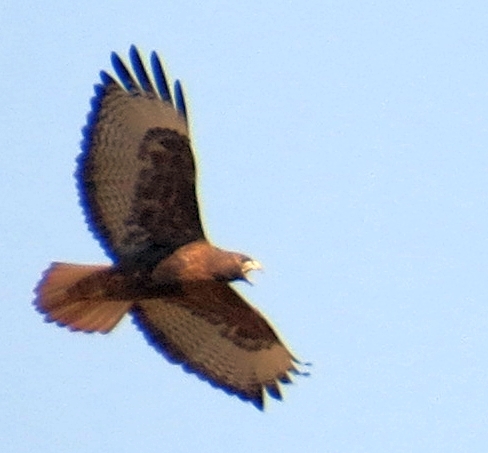 Overhead, on thermals from the warming day, rode adult and juvenile Turkey Vultures, and a very dark Red-tailed Hawk. About half the group continued past Burbank Blvd. 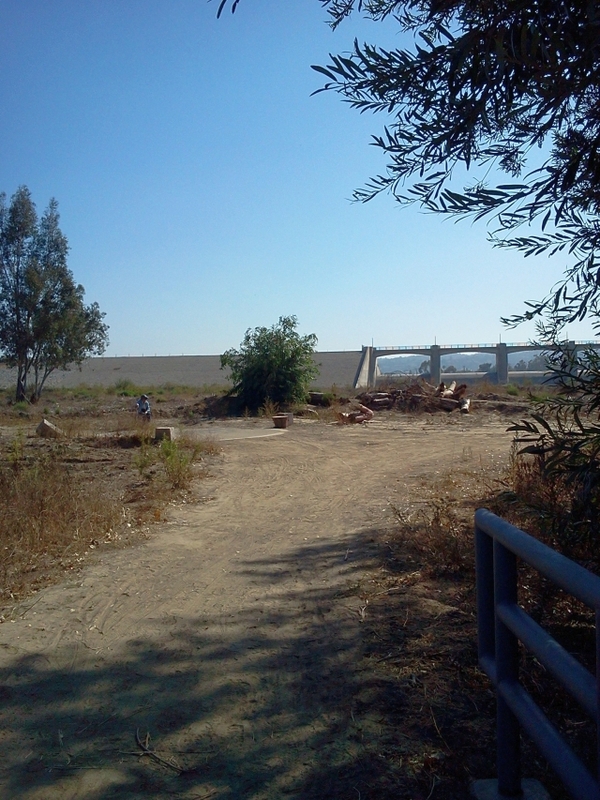 to the Los Angeles River. The Army Corp of Engineers did indeed whack down many bushes and trees, including the magnificent Eucalyptus, locally famous as host to warblers and vireos, including migrating eastern birds who’ve wandered off-track. Strangely, most trees bordering Haskell Creek remained, giving cover to birds and homeless denizens alike. From time to time odd birds like Bobolinks appear at the river. We searched for the Red-throated Pipit – a bird whose breeding range extends from Asia into the edge of far western Alaska, who very occasionally migrates south through the Americas instead of Siberia and China, and who had been seen earlier in the week – but saw only the plain-backed American Pipits patrolling the ploughed field on the river’s south side. Oh well, so it goes. 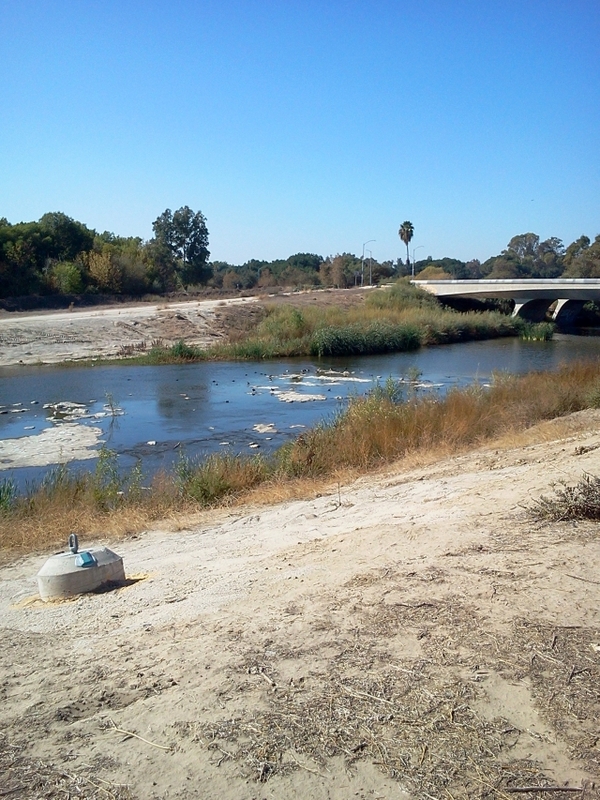 In the river were Spotted & Least Sandpipers and several White-faced Ibis keeping the ducks company. An Osprey made several plunges into the river, but arose fishless. We had earlier seen several sizable carp in Haskell Creek; perhaps they were in the river as well. Absent (perhaps oddly) were Orange Bishops which one frequently sees in the mid-river reeds and shrubbery.